Between 2nd November 1940 and 15th May 1944, Bristol was subjected to a series of bombing raids. Six of these were on a huge scale, causing considerable damage across the city. 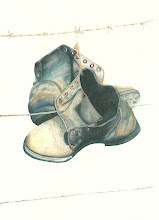 During the period 1,299 civilians were killed. Over 85,000 properties were destroyed with much of the city centre, including 6 historic churches, suffering total wipeout. The main defence against air attack was heavy anti aircraft artillery. Today, it is possible to visit the sites of some of the key batteries. 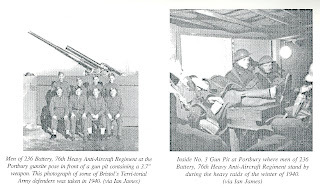 One of the most famous was the 6 gun heavy battery on Purdown Hill. The third picture above shows the mountings in No. 1 gun emplacement. The site is in a disgraceful condition. The emplacements are behind wire as is the ammunition store (though the latter can be explored with a little ingenuity). Eye witness accounts tell of 'Purdown Percy' making a cacophony of noise as the 6 guns opened up on incoming Luftwaffe aircraft. 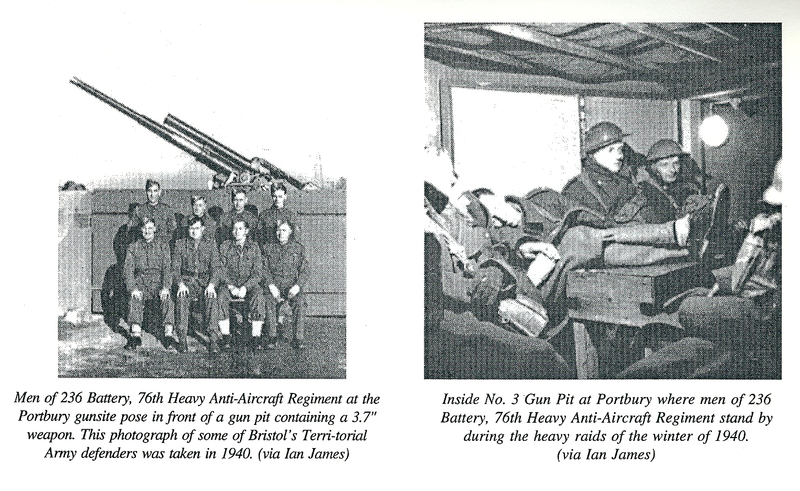 The top two pictures are from the site of Bristol No.2 Heavy Anti Aircraft battery which can be found close to the town of Portishead. The battery was sited on the coastal plain with good line of sight over the port complexes at Portbury and Portishead. There is much to see on the site today. The original sentry box & guard house (albeit 'augmented' by post war camouflage paint), the ammunition store, 4 numbered gun positions, deep bunkers and the vehicle store with inspection pit. Remarkable that I've only just found this facinating site which is just a few miles from my home. Many of the casualties from the Bristol bomb raids are buried at Greenbank Cemetery in Fishponds (above). The top picture shows a plot dedicated to civilian victims of the bombings. It is a poignant place. The military casualties are buried nearby in a separate plot - British, Commonwealth, Italian and Polish alongside German aircrew shot down in the Bristol locality.